If you have an obsession with LÄRABARS, you’re going to love these! 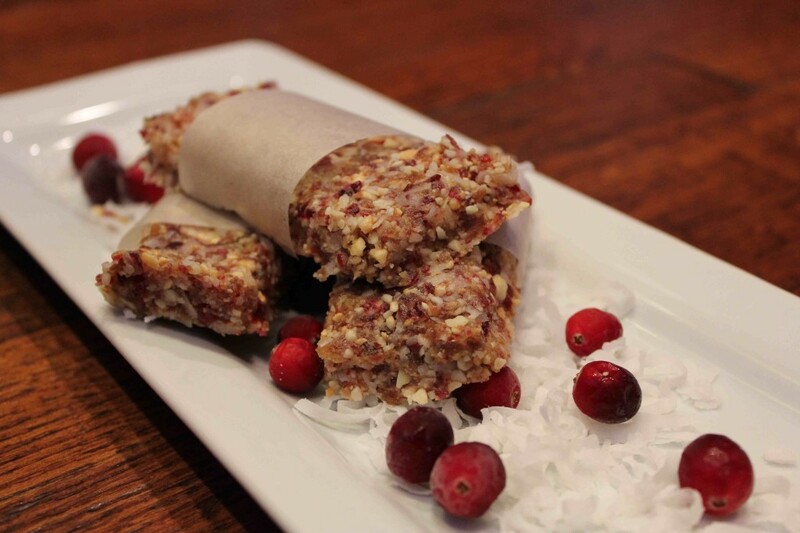 LÄRABARS, the all-natural fruit and nut bar is know for its simple and pure ingredient list. Usually each bar contains about 4 ingredients: nuts, dates, fruit, and spices. Since the ingredient list is so simple, I went on the search to duplicate them. 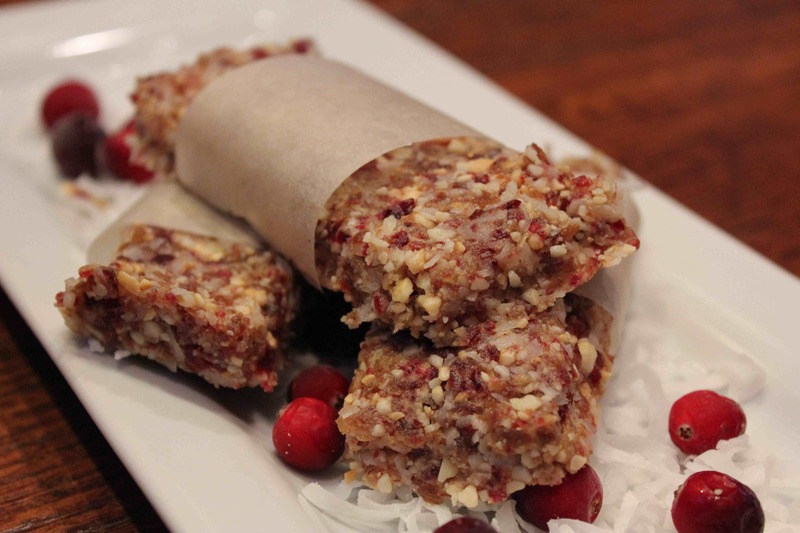 These homemade coconut cranberry raw bars are winners for sure! The recipe, from Raw Food Society BC, is super easy to make and very tasty. As an athlete (okay, not really – I’m a runner that runs for fun), I always like to have wholesome granola bars as a snack. 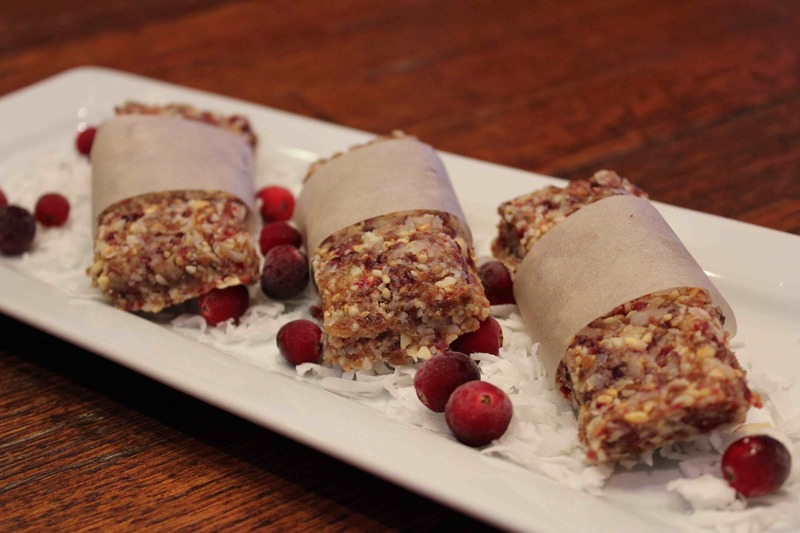 Most granola bars are loaded with tons of carbs and too much sugar. The great thing about these homemade LÄRABARS is that they are packed with protein (almonds and cashews) and get their sweetness from the coconut and dried cranberries. Enjoy and happy working out to all of you! 1. 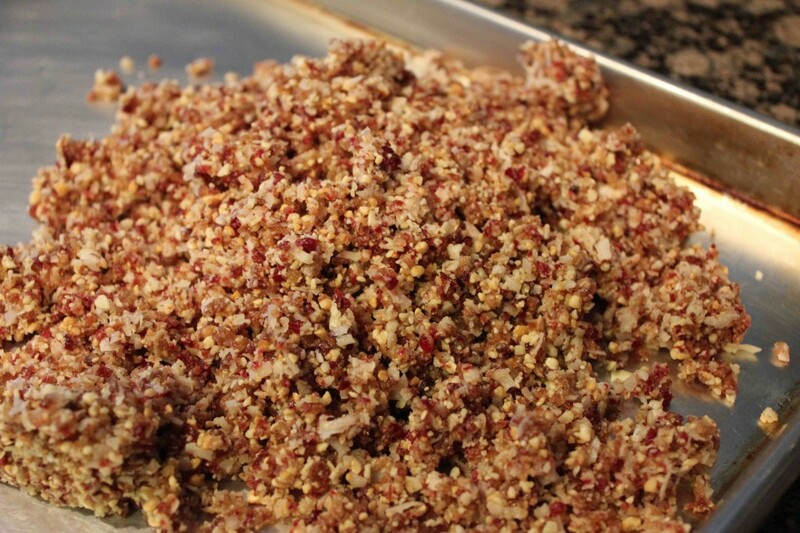 In a food processor combine the nuts, dates, and cranberries. 2. Process until the dough is sticky and the pieces of nuts and fruit are all similar sized pieces. 3. Add coconut oil and process to combine. Add the shredded coconut and pulse until just combined. Be careful not to over-process at this point. 4. Shape into equal-sized, or roll into bite-sized balls and wrap in parchment paper or plastic wrap.These raw bars should keep in the refrigerator or freezer in an airtight for up to a month.